The main objective of this report is to analysis Customer Satisfaction Level of HSBC Bank. Other objectives are to provide information on HSBC Bangladesh, determine most important attributes of service quality, identify the most satisfied demographic segments, determine relation between complaint resolution and satisfaction etc. Finally finding out what were the facilities provided by HSBC to its clients and how they perceived those and identify the problem for finding out the reason of limit client. The main objective is to assess the level of importance the customers of HSBC put across various service level attributes and also to determine how well HSBC was satisfying the customers on those service grounds. To explain the meaning of customer satisfaction. To understand the need of customer satisfaction. To provide information on HSBC Bangladesh, determine most important attributes of service quality, identify the most satisfied demographic segments, determine relation between complaint resolution and satisfaction etc. Analyze the effectiveness of HSBC’s customer services and satisfaction. To be the Bonding Company that guarantees in the market to satisfy appropriately and professionally the bonding needs of our obligors and the assurance of timely fulfillment of our bond to our beneficiaries. To be the world’s leading financial company. The essence of HSBC brand is integrity, trust and excellent customer service. It gives confidence to customers, value to investors & comfort to colleagues. The Human resource Manager heads this department. The major functions of this department are Recruitment, Training and developments, Personnel Services and Security. The HR department is much concerned with the discipline that is set up by the HSBC group. HSBC group has got strict rules and regulations for each and every aspect of banking, even for non-banking purposes; i.e. The Dress Code. All these major personnel functions are integrated in the best possible way at HSBC, which results in its higher productivity. The Human resource officer monitors the employee staffing and administration activities. The Training officer supervises Training, development & rotation activities. This is considered as the most powerful department of HSBC. It keeps tracks of each and every transaction made within HSBC Bangladesh. Manager of FCD who ensures that all the transactions are made according to rules and regulation of HSBC GROUP heads it. Violation of such rules can bring serious consequences for the lawbreaker. The sixth major department of HSBC is the marketing department. The marketing department of HSBC play a vital role in fostering the continuos growth HSBC in Bangladesh. A manager is assigned to this department who looks after the overall marketing operation of HSBC in Bangladesh. This department is basically concerned about marketing the company’s products, services and building a strong corporate image. The marketing department of HSBC has four subdivisions: Direct Sales, Promotion, Marketing Administration and public relation. Basically, this Direct Sale is a vital part of PFS as well as Marketing .This department is controlled by PFS. An executive is assigned to this part of the marketing department. The Direct Sales division coordinate & manages the sales activities of all the Mobile sales officers (MSO) of HSBC Bangladesh. The MSO’s basically makes sales of the company various Personal Banking products such as, savings accounts, consumer loan, etc outside the banking premises. There are a total of more than 200 mobile sales officers (MSO) employed in the cities of Dhaka and Chittagong and Sylhet. The MSO’s are assigned to specific branches for making sales activities more smoothly. The DS executive sets sales strategies & targets for the Sales officers and manages the whole team of MSO’s in Bangladesh. The direct sales department also decides upon the commission and remuneration of the mobile sales officers as their salary structure is based on sales performances. Thus this part of the marketing division is very important for the overall growth of the Personal Banking Division. This part of the marketing department deals with all the promotional activities of HSBC Bangladesh. Prime responsibilities of this department are: Maintaining strong public relations with various media intermediaries, Advertising the companies products and services, building a strong corporate image of HSBC in Bangladesh. Newspapers Advertising: Regular advertisements of various products and services of HSBC are given in some of the countries most renowned daily newspapers. Billboards: Huge colourful billboards with HSBC logo are found in various major areas of Dhaka and Chittagong. These billboards emphasize on the needs of customers and shows HSBC logo as solution to their needs. Road Side Signposts: Medium sized multi colour signposts focusing on various products of HSBC are found on the roadsides of various posh areas such as, Gulshan, Dhanmondi, Baridhara, Motijheel, etc. Mailers: various product updates and new product information are regularly sent to existing customers of HSBC. Brochures: Various colourful brochures featuring specific products of HSBC are being displayed and distributed to existing and potential customers via branch offices and Mobile sales officers. These are some of the promotional activities managed and coordinated by the promotion department. This department formulates & executes various marketing strategies of HSBC Bangladesh. This department also administers various marketing research activities on the existing and potential customers of HSBC. Some such research activities are: mystery shopping, critical incident surveys, customer suggestion surveys, etc. The results of these surveys are integrated while formulating various marketing strategies. This department also deals with the billing and invoicing of various marketing & advertising costs of HSBC Bangladesh. In these are the major departments of HSBC Bangladesh. Except the branches all other departments are situated at HSBC Bangladesh head offices located at Anchor Tower, Kawran Bazar. Most of HSBC’s operation and activities are operated centrally from the head office. But to deal with customers more completely, the branches are given considerable authority and they operate in a more decentralized manner but subject to verification of the respective departments. HSBC Bangladesh carries out all traditional functions, which a commercial Bank performs such as Mobilization of deposit, disbursement of loan, investment of funds, financing export & import business, trade & commerce & so on. Besides it also offers some specialized services to its customers. Products & services offered by HSBC can be categorized according to the customers they serve. Thus two major groups can be identified. They are – individual customers or consumers & corporate customers or organizations. An in-depth analysis of HSBC’s product and services in Bangladesh is presented in this section. First of all, the liability products of the bank are discussed. Then, the various products and services of personal banking division will be presented. The summary of all the products and services of HSBC Bangladesh is displayed in the following page with the help of a diagram. The financial products of HSBC can be categorized into two groups – Asset products and liability products. Asset products are the various types of credit and loan schemes offered to consumers whereas the liability products consist of all the savings and deposit schemes offered to customers. Interest bearing (from 4% – 5.25%). One of the unique features of HSBC savings account is that interest is calculated on daily outstanding balance and is credit to customers account every six months. Can be opened only by Bangladesh and dual citizens in single or joint names. Documentation needed: various kinds of documents are needed for the companies such as memorandum of association, board resolution, etc. however the requirements for individuals are same as the savings account. These accounts are opened mostly by the organizations. Organizations normally maintain current accounts in the banks. They need to transact bulk amount regularly that’s why, current account fits with their requirements. As current accounts do not provide any interests and as the organizations cannot have savings account, they are deprived of earning any interest despite having huge deposit in their accounts. ‘Short-term deposit’ accounts enable them to earn interests from their accounts. These kinds of accounts share some properties of both current and savings accounts. The account provides interests, which are like the savings accounts, and the holder can withdraw any amount any time from his account, which is a property of the current account. Individuals especially, businessmen maintain such accounts. It is also known as term deposits. These deposits are made in the bank for a fixed period of time. This period of time should be specified in advance. The bank needs not maintain cash reserves against these deposits & therefore, it offers interest rates that are higher than the savings accounts. BD nationals residing abroad open this account. Foreign nationals residing abroad or in Bangladesh, Foreign firms registered abroad, Bangladeshis working in multinationals at Bangladesh and receiving salary in FC can also open such account. The account is non-interest bearing and there are various kinds of restrictions for withdrawals and deposits. The account can be maintained in Euro (EUR), Pound Sterling (GBP) and US Dollar (USD). These are time deposit interest bearing accounts. All non-resident Bangladeshi nationals can open them, persons having dual citizenship, shipping staffs, etc. they can be maintained in EUR, GBP & USD currencies. These accounts are strictly monitored by the central bank and restrictions exist for these accounts. Balances in these accounts are freely transferable abroad without any restriction from Bangladesh bank. Resident Bangladeshis returning from abroad can open this account within one month of his/her return. Diplomatic missions, UN organizations, non-profit international companies, foreign contractors & consultants, expatriate resident employees of UN missions can open these accounts. These accounts are maintained in Tk. and are non-interest bearing. Exporters earn foreign currency. But due to legal restriction posed by the Bangladesh bank, they cannot keep foreign currency more that $5,000. As the exporters earn bulk of foreign exchange and are deprived of the benefits of foreign currency accounts, a special kind of account is created to benefit them. In this special type of account they can keep up to a 7% of their total amount of foreign currency exports and earn interests according to dollar interest rates. Some other special benefits are also awarded to such customer such as free endorsements, withdrawals that are higher than the maximum limits, discounted rates for TC’s, etc. They use those accounts in the purpose of remittance and other business purposes. There are various other accounts that are created to meet customer demands and requirement. Such accounts are customized and restrictions on these accounts are subject to change. Foreign currency Endorsement against travel quota and sale of Travelers cheques (Thomas Cook). Payment orders, demand drafts, Telegraphic transfers. Inward and outward funds transfer and receiving. Some unique services are also provided to customers using HSBC accounts. These services are Phone Banking, Self Service Banking & Power vantage Scheme. The personal banking division of HSBC has designed various assets products to meet the needs of individual customers. These are various loans and consumer credit schemes that satisfy and fulfill some basic purchase purpose of the individual customers. It means any service or product of a financial nature that is subject to , or governed by , a measure adopted or maintained by a party or by public body that exercises regulatory or supervisory authority delegated by law and includes , but is not limited to : deposit – taking; loan and investment services ; insurance ; estate , trust and agency services ; securities ; and all forms of financial or market intermediation including , but not limited to , the distribution of financial products. This loan is known as the any-purpose consumer loan of HSBC. This loan is currently the best product of HSBC Bangladesh and is given to HSBC customers. The customers can avail this loan for any of his personal needs such as, traveling, purchase of household goods, computer purchase, etc. Invoices or quotations are not required for these loans, as the bank will disburse the credit amount directly to customers account. No Personal guarantee or cash security is required to support the loan. Even no down payment is required to disburse this loan. The main feature of the PIL is simplicity. This means by completing very simple and easy documents the customers can apply for the loan. Low and very competitive interest rates are offered for this loan with very low processing fee and stamp charges. The interest rate is 19% on reducing balance and 15% for salary account customers. Anyone who is at least 25 years old, employed in a well-established company for 2 years with a minimum monthly income of TK 18,000 can apply for the loan. Self-employed individuals can also apply but valid income proof must be presented to the bank. The loan amount ranges from Tk50, 000 to Tk 1,000,000 or maximum four times of the applicants monthly income, whichever is lower. Loan repayments are made in form of equal monthly installments (EMI). The customers have the flexibility of choosing the repayment period (12, 24 or 36 months). The monthly installment is automatically debited from the customers’ personal account held with HSBC. Provisions for partial repayments and early settlement of the loan are also present but the customer has to pay the respective fees of settlement. Loans are approved at the sole discretion of HSBC credit authority and rejections are unquestionable. Car loan is provided to HSBC customers to purchase personal cars. This loan is the second best product of HSBC that finances the cost of the car for its customers. The scheme covers loans ranging from TK100, 000 to Tk 2,000,000. The loan amount is up to a maximum of 70% of car value. The loan does not cover registration, insurance and other costs. The customers need to submit quotation mentioning the price of the car to be purchased. The loan value is paid to the car vendor in the form of pay order. The interest rate on the loan is 16% with low processing fee and no hidden cost. HSBC makes arrangements with selected insurance companies for special discounts on their insurance policies. Anyone who is at least 25 years old, employed in a well-established company for 2 years with a minimum monthly income of TK 20,000 can apply for the loan. Self-employed individuals can also apply but valid income proof must be presented to the bank. Loan repayments are made in form of equal monthly installments (EMI). The customers have the flexibility of choosing the repayment period (12, 24, 36 & 48 months). The monthly installment is automatically debited from the customers’ personal account held with HSBC. Personal secured Loan/credit is a credit facility against time deposits or government savings certificates and bonds. A customer can get a loan amount up to 90% of the security value. A customer can re-invest his money while his/her main investment (certificate or Bonds) remain intact and this enable the customer to have the flexibility to meet short-term commitments as well as long term purchases without unlocking their long term investments. For Personal secured credit (short term) the interest is calculated on the daily outstanding loan amount and for personal secured loan (long term) the rate is calculates annually. Facilities are repaid when either time deposits are withdrawn or govt. bonds mature. For HSBC banking system the main input is their employee and emploey. The output of HSBC bank is the services and security. HSBC control their system by their own IT section. The customer’s satisfaction is the main feedback of HSBC bank. Uttara Office (Personal Banking Booth with one ATM) Plot No. 4/A, Road No. 5, Sector –4, Uttara Model Town Dhaka-1230. HSBC is a global banking and financial services organization headquartered in London. The group’s international network comprises more than 9,500 offices in 79 countries and territories, operating the Asia Pacific region, Europe, USA, and Middle East & Africa. 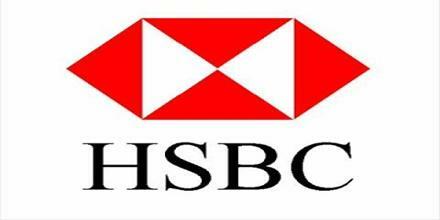 HSBC Group is represented in Bangladesh by its subsidiary bank HSBC, Bangladesh. I got the chance to visit new people and make them customer of HSBC, not only that my responsibility is to provide customer service time to time. I also got the scope to interact with customers and reveal their expectations and perceptions about the bank’s services. During my interaction with customers I felt that somewhere there are gaps between customer expectations and banks services and since the CEO of HSBC Bangladesh has given emphasis on better customer service and more customer satisfaction, thus the Customer service officer asked me to work on this topic. This research has provided some interesting insight into what kind of service the customers give importance to and what quality service they get from HSBC. It is quite obvious from the research that the customer requirements are not fully met and they are very dissatisfied with some of the aspects of the bank (location, saving rates, credit services, investment services, etc.). Again the research revealed that only one third of customers were more of less satisfied with the services of the bank and more than half of the respondents were on the neutral side of satisfaction line. HSBC should attract this half and bring them to the positive side of the road so that strong relationship with the customers can be maintained. Finally, I would say that this report at HSBC has increased my practical knowledge of Business Administration. In this report I got the opportunity to apply various tools and concepts I learned in my BBA courses.